Jesus clearly had a goal for his three years of ministry on earth: begin the world-shaping movement of the Kingdom of God. If Jesus had focused only on the outcomes of this goal, then he would have surely embraced the lure of the crowds, held daily rallies in various cities throughout the ancient world, and continued performing miracles. We certainly know that Jesus could gather a crowd without even trying! Yet one has to ask this question: Would following that strategy, with its focus on immediacy, have limited Jesus’ impact to the time he was on earth? Years later, would people just have had amazing stories to tell about Jesus? As in “the good old days”? We’ll never know, because that’s not what Jesus chose to do. Jesus chose a process of discipleship guaranteed to live long past his earthly ministry. He invested in people. Although throughout the Gospels we do see Jesus minister to crowds, we also see him walk away from those crowds to concentrate his efforts on the primary recipients of his long-term strategy: his disciples. They would carry on what he had started. Jesus knew that his disciples would only be able to carry on if he invested very specifically and intentionally in their lives. One of the best pictures we have of this long-term discipleship process can be seen in the way Jesus invested in the life of Peter. Peter’s brother Andrew, a disciple of John the Baptist, was the one who first brought Peter to Jesus (John 1). Eventually, Jesus invited both Andrew and Peter to drop their fishing nets, follow him, and “fish for people,” and Peter did (Mark 1). With Jesus’ command, Peter walked on water (Matthew 14). Through Jesus’ power, Peter experienced the calming of a storm (Mark 4). In a small circle of people, Peter saw a young girl who had just died, rise up at Jesus’ word(Luke 8). When Peter spoke against Jesus’ prophesy of his suffering, rejection, crucifixion, (and resurrection), he received Jesus’ strong rebuke (Mark 8). On a high mountain, with James and John, Peter witnessed Jesus in all his glory (Mark 9). When Peter vowed his unfailing allegiance, Jesus prophesied his certain denial (Luke 22). Peter did deny Jesus (Luke 22). After Jesus’ crucifixion, Peter hid, taking refuge behind a locked door (John 20). After Jesus’ resurrection, in a time of uncertainty, Peter returned to the life he knew: fishing. But Jesus met him on the beach, and with some tough, loving questions, he reinstated Peter for making disciples (John 21). 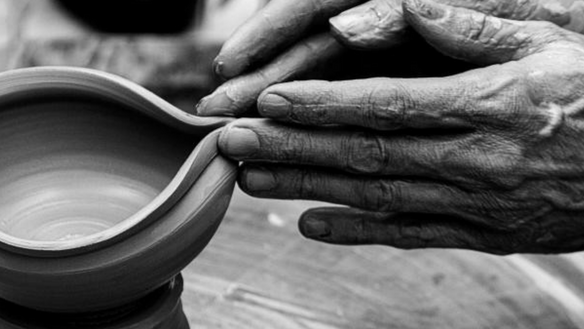 Every step of the way, like a potter at the wheel, Jesus’ intent was to shape Peter for the work he had called him to, and Jesus made sure Peter was ready. When the Holy Spirit came upon him, Peter was able to step in to his new identity, immediately preaching a sermon that inspired 3,000 people to give their lives to Jesus (Acts 2). And when Peter was told in a vision to go with the men waiting outside the door, he was well-prepared for the unthinkable: to bring the gospel to the Gentiles (Acts 10). The church’s mission today is still unthinkable–to continue what Jesus began and bring God’s Kingdom to bear. In order to do this, just as Jesus did, we must shift our evangelism eyes from the crowds. What does it look like to focus on a few individuals at a time? How do we create processes that help Christians invest in others–as Jesus did with Peter and the other disciples–so that our churches have ecosystems and cultures of disciple-makers?